Purchased a 1984 NBPTMA phone book from eBay on 11-24-09. Passing of Richard F Walsh of Waterfront Farms. The passing of Dennis Brown Obituary added. Search plugin currently being used is Search Everything 6.1.7. I usually use Search Unleashed, however it doesn’t seem to be working and is actually bringing the site down. I have pics to e uploaded this weekend 6-6-09. I have a NBPTMA.com/buy – auction site I am experimenting with. 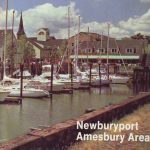 It’s like ebay but will cost you nothing to add a Newburyport Ma item for auction. This entry was posted on Friday, June 5th, 2009 and is filed under . You can follow any responses to this entry through the RSS 2.0 feed. You can leave a response, or trackback from your own site. It is interesting that you have a image of the IC church on your header. One of my earliest recollections is the fire that burnt the IC school and set the stepal of the church on fire. It formally was much taller but was never replaced after the fire. Farther Moony had gone to retreve the the holy contents of IC and had to be dragged from the church as it was burning. The convent replaced the school and the chapel (where the parking lot is now) converted to a grammar school. Eventually the “new” grammar school was built just north of the church.